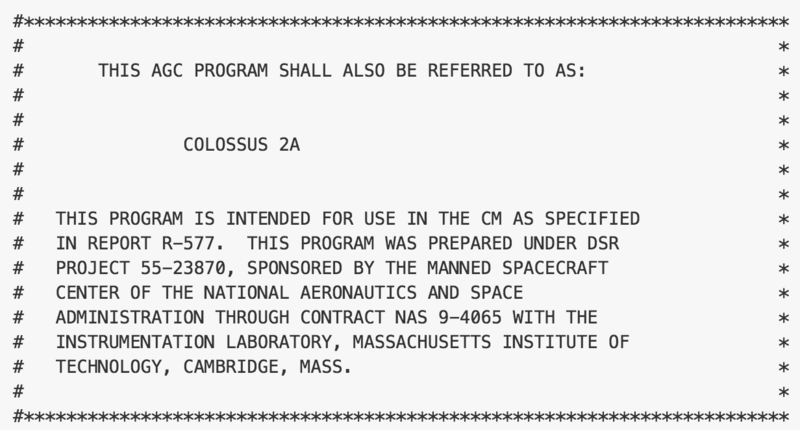 In a story that sounds almost designed for a Beats, Rye, & Types tip, the source code for the original Apollo 11 Guidance Computer was recently released on GitHub. This repository combines several of our loves: space, code, history, and arcana in general. We’ve been obsessed with space and space travel our whole lives, and to think that we now have access to the machinery that made the Apollo 11 run is almost too much for us to handle. There are some real gems tucked away in the comments, naming choices, and more in the code - dive in, dream a little, and be happy you don’t have to write assembly code for a living (not that there’s anything wrong with that).